AdeptiCon 2015 Development: AdeptiCon 2013: A New Era! AdeptiCon 2013: A New Era! AdeptiCon 2012 marked our tenth anniversary, and as we move into the second decade of our wargaming journey, we would like to once again thank all the attendees, sponsors, vendors and volunteers for making AdeptiCon what it is – the premier celebration of the miniature wargaming hobby! Last year over 1850 attendees from across the globe descended on the Westin Lombard Yorktown Center to engage in conflicts across a myriad of worlds...yet the battle continues! 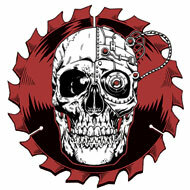 AdeptiCon 2013 is the beginning of a new era, one that promises new adventures and expanded horizons! You won’t want to miss this! Pre-registration will open in early November, so clear your schedules and start making travel plans! Check back over the next several months as additional news becomes available concerning the convention, pre-registration, specific events, special guests and more!